Patinated Cobalt “Eye” Beads, 100 B.C. – 100 A.D.
Patinated Cobalt “Eye” Beads, 100 B.C. – 100 A.D. in modern reconstruction. 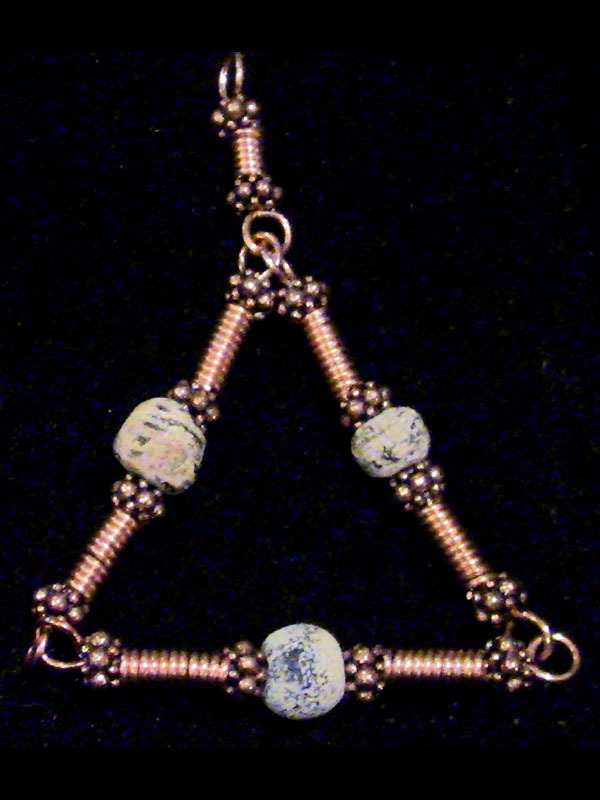 High levels of psychic protection and re-energization can be realized when the blue cobalt “eye” beads of the piece in the photo above are charged in the right way. How to charge these Triads? Nothing could be simpler. You’ll find out all about it in the Triad Workshop.